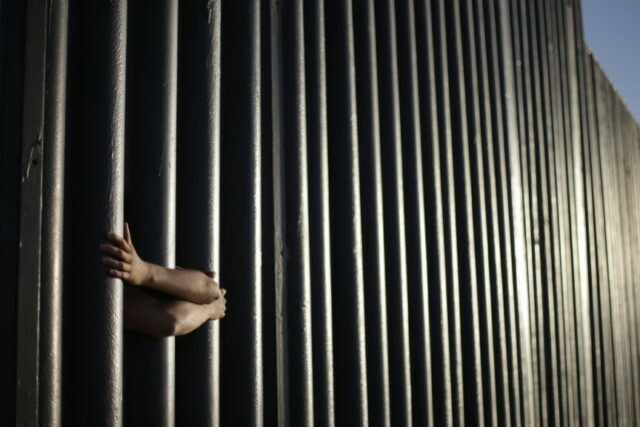 SAN DIEGO (AP) — The federal government said Tuesday that contractors began building eight prototypes of President Donald Trump’s proposed border wall with Mexico, hitting a milestone toward a key campaign pledge. Construction in San Diego began three months behind schedule after those who didn’t win contracts protested. The building process will last about 30 days, Customs and Border Protection said. Trump said Friday that the wall should be see-through, appearing to cast doubt on the concrete designs. The administration faces several federal lawsuits in San Diego that seek to block the prototypes and plans to replace existing barriers in California. A complaint filed last week by California Attorney General Xavier Becerra, a Democrat, largely mirrors two others by environmental advocacy groups that allege the administration overstepped its authority to speed up construction of the wall. The administration has not commented directly on the lawsuits but it has issued two waivers since August, the first since 2008, on grounds of national security. Both waivers are in California, including one that covers the site of prototype construction. Funding to extend the wall beyond its distance of 654 miles (1,046 kilometers) is in doubt. Democrats have balked at Trump’s $1.6 billion request to replace 14 miles (22 kilometers) in San Diego and build 60 miles (96 kilometers) in Texas’ Rio Grande Valley, the busiest corridor for illegal crossings. Caddell Construction Co. of Montgomery, Alabama, and W.G. Yates & Sons Construction Co. of Philadelphia, Mississippi, were awarded contracts to build one wall of concrete and one of other materials. Other contracts for concrete prototypes went to Fisher Sand & Gravel Co. of Tempe, Arizona, and Texas Sterling Construction Co. of Houston. Contracts for prototypes of other materials were awarded to KWR Construction Inc. of Sierra Vista, Arizona, and ELTA North America Inc. of Annapolis Junction, Maryland.